Smarty CRM software will syncs with any email account you use to receive, process and organise emails from clients you have added into the system. 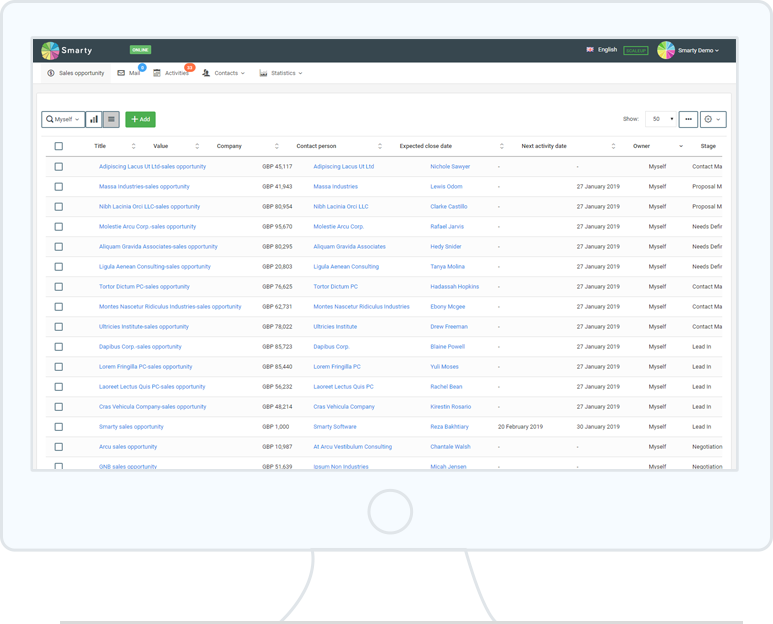 Keep track of who’s sent what and when and Smarty CRM will automatically prioritise your task list and your leads for any given time. 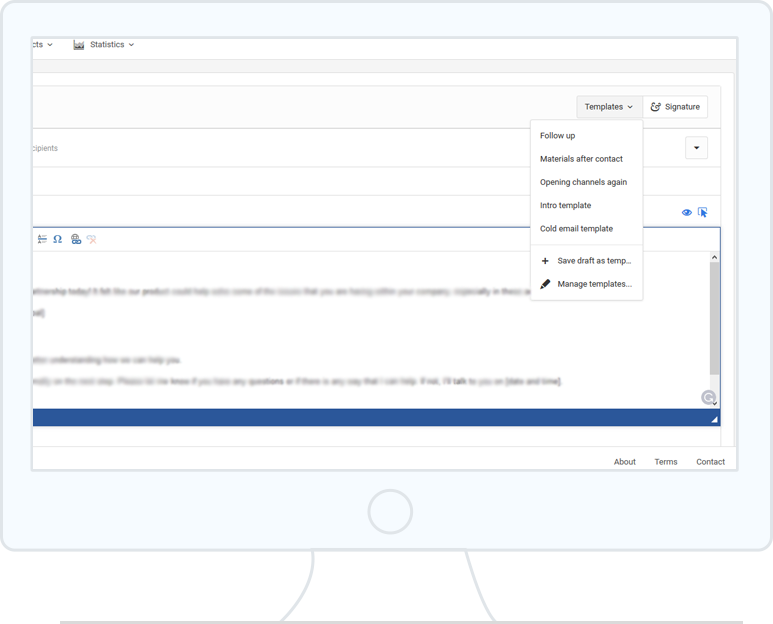 You’ll even be able to see the best time to target certain customers due to their previous response times. 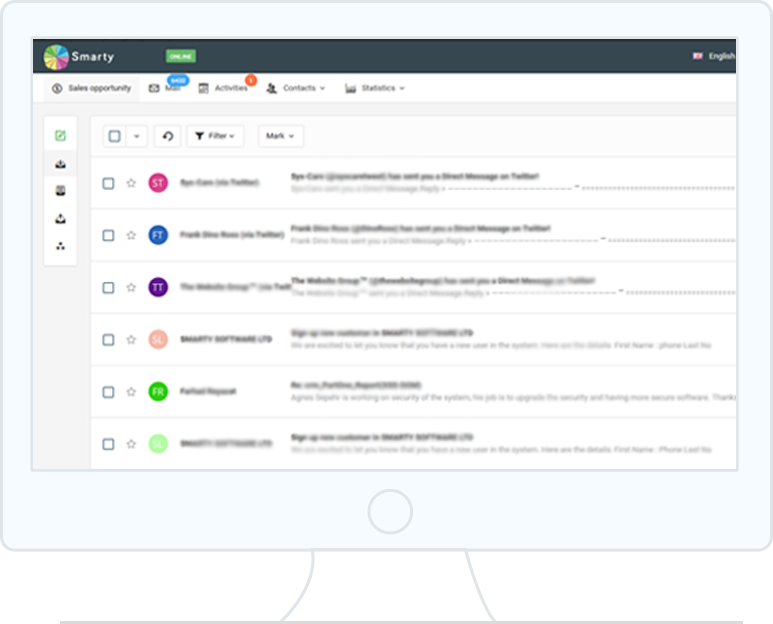 Harness Smarty in combination with your existing email solution to make managing your communications simpler. Automatically prioritise important messages, tasks and leads in real time to make sure you stay on top of the most promising prospects. Use historic email data to shape and schedule future mail-outs in order to improve open rates, engagement levels and response volumes. Draft effective marketing emails within Smarty infrastructure and measure their impact alongside other key communications metrics to assess the scope of a campaign’s success and make changes going forwards. Spending too much time on your invoice? Email conversations can be tracked the simple way, by contact, instead of in a useless chronological list. The way an inbox is displayed reminds us of an old mobile phone, with all messages arranged in chronological order regardless of the sender or topic. Our revolutionary reorganisation of the inbox means that all messages are displayed by contact. Clicking on one contact will show you your entire past interaction with them just like a smartphone does. This includes calls, invoices paid, invoices sent, back and forth emails. This will save time for you to focus on nurturing the client relationship, rather than just tracking down correspondences. Running a business means prioritising tasks and cutting the unimportant ones out of your daily routine. With automated email responses for thank you messages you will never be pressured into rushing an email or feel overwhelmed by the number of clients waiting to hear back from you. 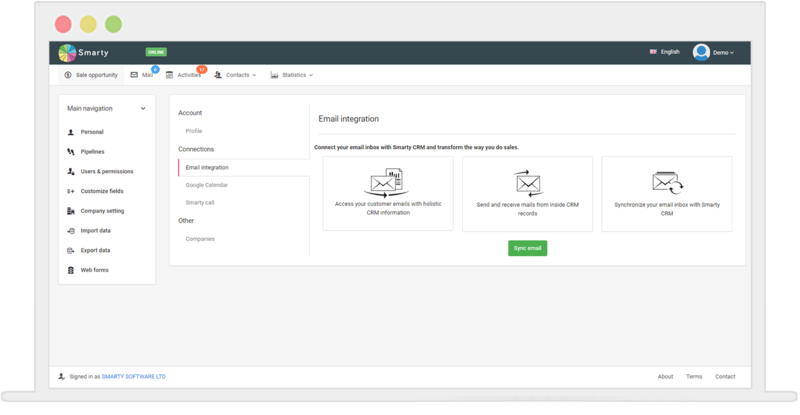 You will also be able to write and send emails directly from Smarty CRM so you won’t lose time flicking between a number of websites or application either. 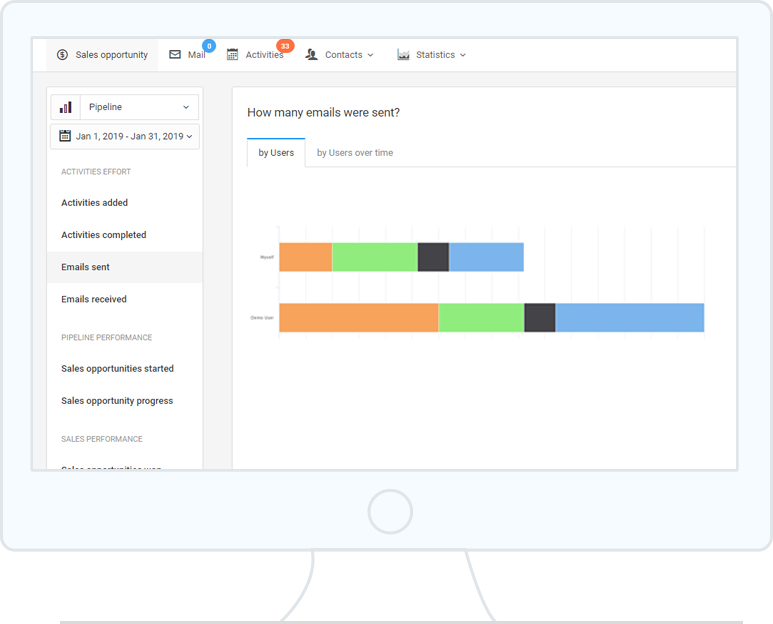 Smarty CRM software will process the information from all your emails and be able to formulate them into handy charts and graphs which will show you how many clients you have at different stages of sales or conversion. This means with a single glance, you’ll be able to see how your current strategy is going and see what needs to be amended. Also, if you have multiple people in your team you will be able to see simply who’s working well and who’s not. 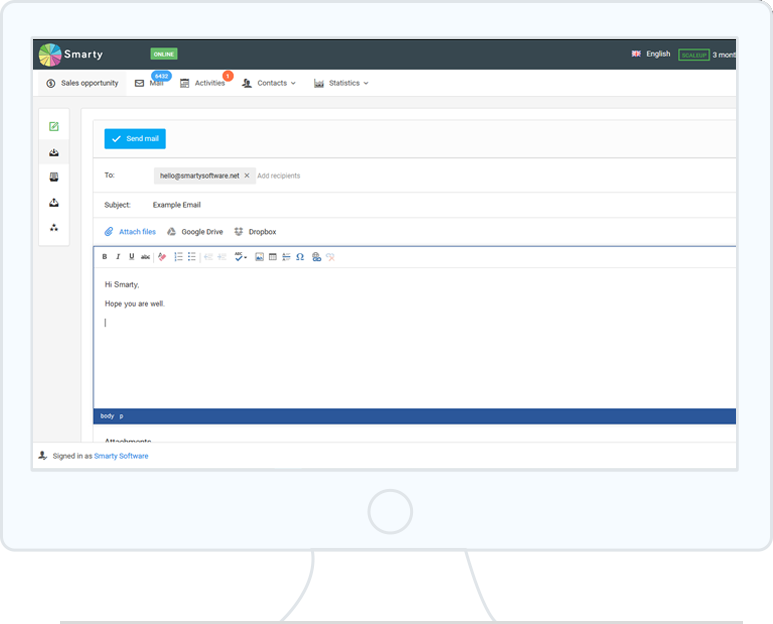 We provide email templates within the Smarty CRM app. This means not only will emails be able to go out on time and with the relevant content, but they will also look great! Smarty CRM will analyse email information and then use pipeline management to prioritise your tasks for the day. This means at the start of the day, week or month you’ll be able to see which tasks are of the highest priority and which tasks can wait a little longer. Smarty CRM gives you the best chance of keeping on top of the growing list of phone calls and emails a business owner needs to deal with every hour of the day.